Solarzen has produced and distributed stable and reliable products based on steady technology development and customer trust in the automobile lamp and LED industry since its establishment in 2002. The company has developed automobile LED lights based on know-how in production of halogen lamps for cars since beginning to develop them eight years ago. Its technological level and stability have been widely recognized. Beginning in 2010, Solargen entered the industrial LED lamp industry by harnessing its competitiveness. Since then, the company has released more than fi ve kinds of new products and technological excellence every year. Model No. SWL-2000R_(20W) is a rechargeable-type industrial work light with a certifi ed LG Innotek LED and an LG Chemical lithium-ion batt ery. An over-charging/ discharging protection circuit was installed in the product. The product features three steps of brightness (2,000 Lumen / 1,000 Lumen / 300 Lumen). It takes about four hours to charge the product fully. The products can last 5/10/35 hours. It has lighting color of 5,500 to 6,000K. It is (H)295 X (W)220 X (L)220mm and weighs 2.25kg. A powerful magnet realizes hands-free use. A 360° rotation hook comes in handy. The product features three steps of brightness (650 Lumen / 300 Lumen / 120Lumen). It takes about 2.5 hours to charge the product fully. The products can last 2 / 4 / 15 hours. It has lighting color of 5,700K. It has a beam angle of 90° X 110°. It is ((H)380 X (W)72 X (L)50mm and weighs 430g. Model No. 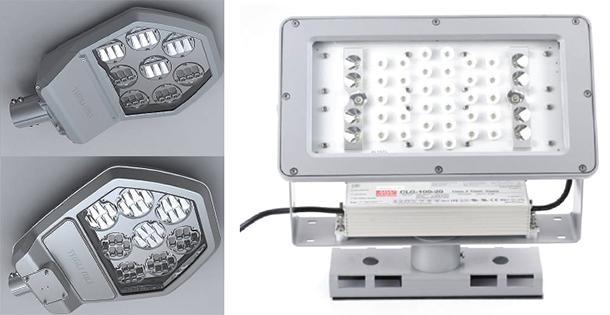 SWL-320R1_(10W) is a fully waterproof and dustproof (IP67) industrial LED work light. The product is rechargeable. LG Innotek’s LEDs and LG Chemical’s lithium-ion batt eries went into this product. An over-charging/ discharging protection circuit was installed in the product. At the moment, the company is doing its utmos t to develop high-quality technology and products in order to secure a dominant position in the domestic market and strong competitiveness in the international market. High technology and good quality enabled Solarzen to export its products to more than ten countries such as the USA, Japan, Russia, Thailand and the Philippines. [INQ. NO. 1411E30] The ballast product line-up developed and manufactured by Phoenix Engineering include AC / DC ballast, UV lamp ballast, general ballast, emergency lighting ballast, train motor car / ship ballast, and standard ballast. Especially, the AC / DC ballast is steel material, with the size of 242 X 227 X 39 mm. Also, the standard ballast is steel and synthetic resin material, and uses AC 200V for commercial power and DC 120V for emergency power. Moreover, the LED Flat Lamp enables semi-permanent life cycle of over 50,000 hours, and power dissipation is 50W~75W. The total flux is from 4000lm to 5600lm, and the power factor is 99%. Since its establishment in 1997, Phoenix Engineering acquired several patents, utility models and design patents for its technologies and products, and acquired numerous certifications including the ISO 9001 certification and the KS mark. Through these innovative efforts, the company was designated as a venture company, and is supplying products to clients not only domestically, but also to many countries worldwide. [INQ. NO. 1411E26] Nari Light, developed and manufactured by Inno-Luce, is a new concept of LED light for parking lots, which creates more beautiful and comfortable space for many people going in and out of the lots with their vehicles. 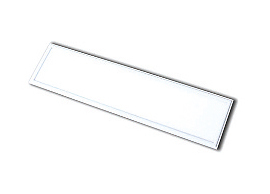 The Nari Light includes louver-type reflection action, which minimizes the glare, and the transparent cover enables light efficiency of over 120 lm/w. Also, the eco-friendly LED and sensor are effective for energy saving, and the product is designed motivated by the forsythia, which is completed to be more intimate and modern. The general type and sensor type are selectable as an option, and the colors are provided in silver or black. 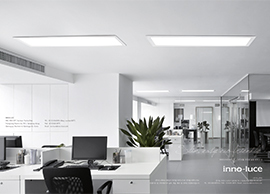 Inno-Luce was established in 2004, and specializes in the development and design of LED lighting, and possesses the know-how and experience through many years of expertise in the field. The company is equipped with the design system, and through the affiliated R&D Center, the company developed new technologies and designs for the products to enable higher efficiency and lower energy consumption. Through these efforts, Inno-Luce registered and acquired many utility models, design patents, and certifications. [INQ. NO. 1411E23] HP International was established in 2013 and specializes in the development and production of comprehensive ranges of LED lightings for vehicles. 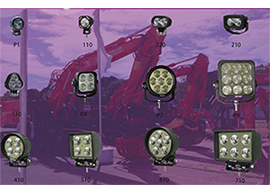 Especially, the company’s main products are the head lamp for fog and driving, and heavy duty lights. The head lamps for fog & driving consists of various models, including R5310, R7110, R7010 / R7020 and the head lamp 5710/5720. The head lamp for fog & driving is manufactured in aluminum for the main body for efficient heat dissipation, and the lenses are glass or PC. The reflector is PC or vacuum metalized, and provides low- and high-beam performance. The head lamp for fog & driving is suitable for medium and heavy-duty trucks, off-road vehicles, classic cars, motorcycles and more. Since its establishment, HP International registered and acquired numerous patents for its technologies for LED lighting, such as the lamp apparatus for motorcycles, LED lighting lamps, LED lighting apparatus, sealing structure of lighting apparatus, LED lighting apparatus for fields, lighting apparatus controllable lighting position, adjuster of illumination angle for LED lamps, and many others. [INQ. NO. 1411E18] Established in 2003, Enfren is a specialized company in the development and manufacturing of LED lightings and other LED-applied solutions, along with providing OEM/ODM services. 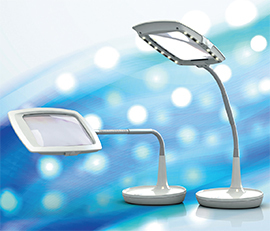 Enfren has developed various types of unique design-applied desk lamps including LED desk lamps and LED-applied products such as LED Gel dryer, etc. Enfren has noticeably succeeded in winning favorable reliability for its delivering competitive products, noticeably from overseas markets, with a total of 11 nations of productive export destinations in the Americas, Europe, and Asia. Enfren has recently released a new brand of LED fixture called “Magnifier EF-200”, a functionally combined product of magnifier and LED lighting. With the super-sized aspheric multifocal lens, it is possible for users to use it clearly for a long period without distortion regardless of view angles, and it is very effective in eye protection and reducing fatigue. It is useful for the elderly who find it difficult to read books or the Bible with declining eyesight or people working with small letters or plans. This product complements eyesight and prevents its decline. The LED bulb lasts for up to 40,000 hours, five-times longer than a fluorescent bulb. The electric consumption (5W) is much lower than that of the existing typical lighting fixtures. And to allow users to freely adjust the height, angle and direction of the lamp, a flexible spring tube for the advanced model is especially applied. [INQ. NO. 1411E12] “It always gives me great feelings of pleasure to see the twinkling LED lightings installed by my company on both sides of an expressway whenever I pass by at night,” remarked the president of Departlight. As a specialized company of landscape lighting in Korea, Departlight has been differentiating itself from competitors both at home and in overseas markets by rereleasing market-leading products. Departlight adopts the so-called ‘LOS (Lighting Onestop Service) system’ so that it can cover multiple processing areas from R&D, to manufacturing and construction. Thanks to the adoption of this innovative approach, it thus contributes to maximization of customers’ convenience and cost decrease. Recently, it started using 3D printers for developed products in order to carry out actual tests of them by manufacturing prototypes. It further strives to develop new advanced products related to LED lighting in a bid to release customer-oriented products. Especially for this year’s promotional activity for overseas potential markets, Departlight prepared its recently developed and produced flat LED lighting. As an eco-friendly lighting, it is free of harmful UV rays by adopting mercury-free lighting sources. Designed with simple and slim features, it offers excellent decoration effect. Also it features thinner and lighter than the existing lighting fixtures. With stable luminance value, it secures bright illumination. As it has nearly natural color of lighting, it can minimize the dazzlement factor. Moreover, it gives big benefits for users in maintenance cost with ensured low power consumption and semi-permanent lifespan (about 5 million hours). [INQ. NO. 1411E11] D&CI’s LED flash light White Hole, with a design of wine glass and various colors, ensures high-performance brightness and quality for applications of leisure activities, daily life, and also in disasters. The waterproof function is applied for the advanced product permitting it to be used at a time when raining or at a place where things are easily exposed to damage by water. For users’ convenience, ergo-dynamic design is applied enabling comfortable activity of grip. 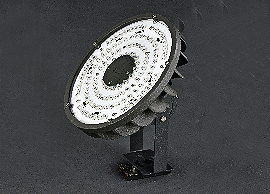 Users can use it up to four hours with ensured lighting distance over 30 meters. D&CI has recently released the so-called third-generation LED flash light “Smart White Hole.” With appearance of three colors of black, sky blue and pink, it employs CREE XP-C 1W LED to enable 1.118 candela of brightness. Established in 2008, D&CI has placed big weight in the manufacture of LED products with the differentiated design, material and the optimized technologies of heat dissipation, optic design and surface treatment. With the business philosophy of seeking harmony between light and humans, D&CI is aiming to be a global eco-friendly brand that shows overwhelming competitiveness over competitors by ceaselessly combining design and technology into advanced products. [INQ. NO. 1411E32] Founded in 2009, Navery Korea has consistently developed and manufactured the so-called next generation LED lighting products with features of eco-friendly, high-energy efficiency through massive investments in R&D. As an Inno-Biz company, Navery Korea has been winning solid recognition for its quality products applied with advanced technology. In 2013, it became the 8th company in Korea to acquire the certificate of “Green Specialty Enterprise.” Navery Korea also received the “Excellent Products” certificate awarded by PPS in the sector of outdoor lights, and thus ranked 2nd in the sale of LED lights for PPS from 2010 ~ 2012 and ranked 1st for five years in a row from 2009 ~ 2013 in the sector of LED floodlights. Those results helped the company to remain a leading company in the field in Korea. 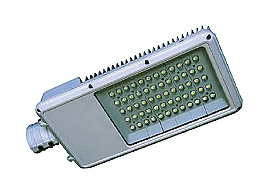 Navery Korea’s LED floodlight is one of the LED lights leading the company’s move toward expanding its global market presence with many competitive features. Boasting a minimum lifespan of 50,000 hours, the LED floodlight can save energy with high efficiency with the help of the high-efficiency converter it manufactures. With the built-in fixture mechanism, it allows rotation and angle adjustment. It is especially designed to focus light on a specific location (such as a pedestrian crossing) depending on the lens’ design. It basically employs patented design using an asymmetric reflector and condensing lens. Filed Under: Lighting Tagged With: high-efficiency converter, LED floodlight, LED Lighting, Navray Korea Co. Ltd.